Averse to planning and budgeting? Don’t fret. Not after you read this post. One of the oft-asked questions when you approach an interior designer is “What is your budget?” I cannot stress the importance of planning and budgeting for interiors because this is a huge project, one with many variables than buying the house itself. Often, we don’t know how much money we have and are scared to spend. At the other extreme, people end up buying more with limited resources, resulting in credit card debt. Both the extreme case scenarios are not ideal. And if you ask me, budgeting for interiors right up to the point of moving in starts well before you begin house hunting. Let’s say, if you can afford to spend Rs.1.5 crores, then ideally your house including registration should not cross 1.35 ~ 1.38 crores considering you don’t want to compromise on interiors. A rough thumb rule used by designers is that one needs to set aside 10% of the house cost on interiors. In this post, I’m going to list the various elements you need to plan for to move into your new home. Note that some elements maybe applicable, while some may be not depending on the size of your home. 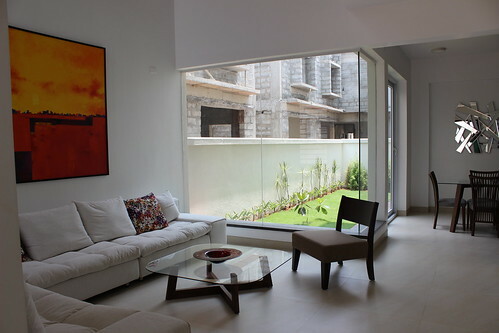 This is for a 3 BHK duplex/villa of over 2,000 sq. ft.
Wood work. Design charges if applicable. Movable furniture: it is your choice whether you want to buy furniture or get them made. From what we have seen, getting them made is more expensive, though the quality may be better. This category includes bedroom furniture (beds, side tables, mattresses), living room furniture (sofa), dining table, deck chairs. Flooring: if you opt to go for wooden flooring in some rooms, then account for that. 3-track windows for mosquito mesh, if not provided by default. Soft furnishings: curtains, blinds, cushions etc. Appliances: Kitchen (hob/chimney/builtin oven, microwave, dishwasher), bathroom(geyser), electrical (fans, LED/CFL/decorative lights, exhaust fans, tube lights/ ACs). Kitchen: dado tiles in case of modular kitchen, granite, sink, copper piping. Garden landscaping if you have one. Micro cleaning and pest control of the new home after wood work just before you are ready to move in. List down these items in an excel. Zero down on the model and the estimated cost for each of the items; the cost for most are available on the net and doesn’t take a physical visit. You will get a realistic idea of how much the whole project would cost. As and when you buy, document the actual cost. I would like to hear from you. Have I missed something? Do you find this series useful? 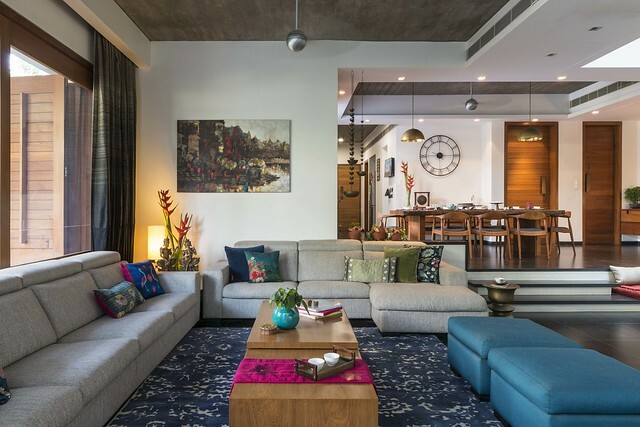 Get upto speed: are you ready to meet an interior designer?